The issue of child safety is crucial. Most people would undoubtedly agree on this. There are many ways to travel. One of the most popular ones is by car. Naturally, such kind of travel, just like any other, involves children from time to time. They are passengers, too, after all. However, there is one thing that makes the special. Children have a smaller body frame than adults do, and their bodies are more fragile than theirs. That is why children should be kept in child car seat when traveling by car. The type of car seat depends on the age of the child. It is important to understand that child car seat use is not something you can just consider a good option and leave it at that. It is important to realize that child car seat use reduces fatal injuries rate substantially. What is even more important is that the government recognizes that fact, among other things. Laws might differ by state but mostly in technicalities. There is one thing laws of different states agree on, and it is the fact that a car seat should be used for transporting children. Do note that the law says “child passenger restraint system” rather than “car seat.” The reason for that is that any child car seat can be considered a subcategory of child restraint system which, in their turn, might include things that cannot be named child car seats. According to Tennessee’s and Washington’s laws, it is mandatory to secure a child younger than one year of age or weighing 20 pounds or less in a child passenger restraint system in a rear facing position. The seat must be installed in a rear seat, if available, or according to the instruction of the manufacturer of the vehicle or the child restraint system. If the child is over one year of age or under four years old, and their weight is more than 20 pounds, they must be secured in a child restraint system in a forward-facing position in a rear seat, if available. 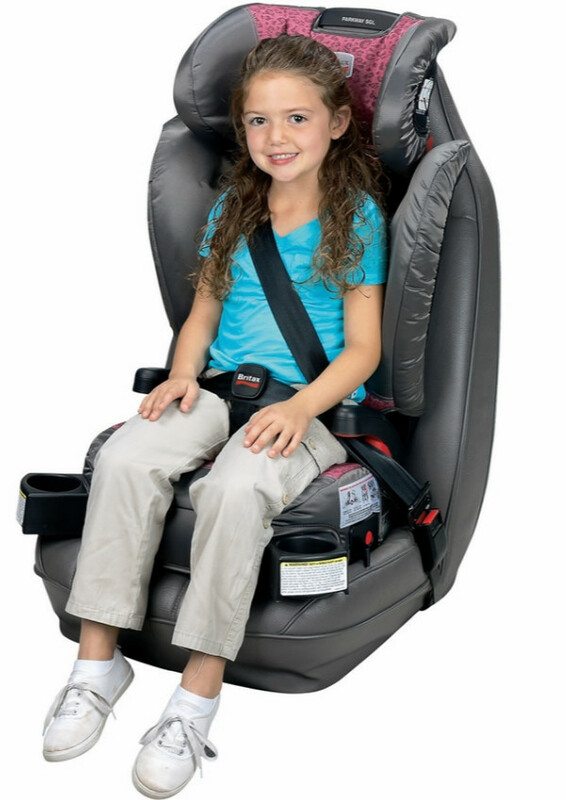 Children between four and eight years of age that are not taller than four feet nine inches in height should be secured in a belt-positioning booster seat in a rear seat, if available. Children between nine and twelve years of age must be secured in a seat belt system in a rear car seat, if available. Children between thirteen and fifteen years of age may use the seat belt system in either seat. You can find out more here or here. It should not be hard to discern what types of child car seats actually exist based on the legal regulation concerning child safety. But for the sake of integrity, we will introduce them anyway. There are rear-facing car seats, forward-facing car seats, and booster seats. The reason for installing a child car seat in rear facing position is that it is the only safe way for a baby to travel. In the event of a car crash, the car seat’s back absorbs the crash energy and keeps the baby in their place. If it were a harness system or seat belts than the child’s bones and internal organs might just fail to handle the pressure of the harness or belts. That is not what happens with a rear facing car seat. An infant’s bones are too fragile in any other way. They are very easy to injure. Rear facing car seat use decreases the fatality rate by 71% according to the CDC. We have come to the conclusion that the best car seat for infants is the Foonf convertible seat from Clek. The most special thing about it that it can be used in rear-facing mode until the child is up to 4 years of age. That is twice over the minimum limit. Rear-facing orientation is safer than forward-facing one. Other than the extended rear-facing period of use, the seat also has such features as a steel and magnesium frame to protect the little passenger from side impacts and an anti-rebound bar. The Foonf is very stable, and it can be installed in very compact cars. The Foonf is rather expensive a seat. While it is a convertible seat, it is best used as an infant seat, but you would have to remember that it can be used twice as long as any other infant seat. 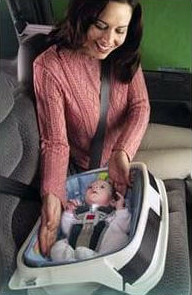 A forward-facing car seat is to be used when the child is too large for the rear-facing car seat. Once their bones are more resilient, traveling in a forward-facing position is safe as long as children are properly restrained. A rear facing car seat is always safer than a forward facing one. However, it is not possible to use a rear facing car seat all the time, especially not after the child grows up to the point their head is above the back of the car seat. When that happens, riding in a rear-facing position becomes dangerous even without an actual car crash. A single sudden deceleration could injure the child’s head if they are too tall for their car seat. Forward facing car seats rely on the harness to provide security for the child. Such a seat’s main function is to restrain the child. According to the CDC, forward facing car seat use decreases the fatal injury rate by 54% compared to other safety features, like premature booster use, adult seat belt or unbelted ride. 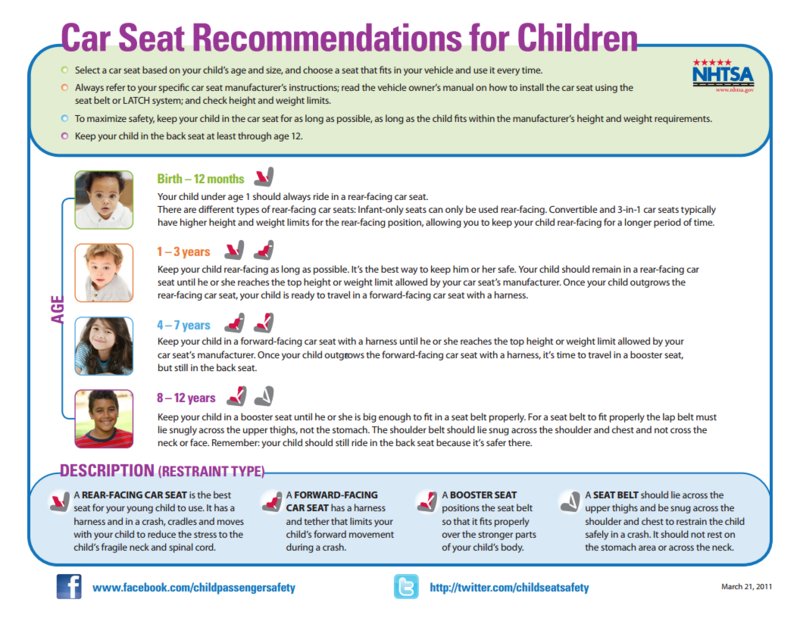 Please remember that premature use of booster or adult seat belt might result in either neck and internal organ injuries, if the child remains in the seat, or “submarining”, in which case it is nearly impossible to predict what injuries they might suffer. As far as toddler car seats are concerned, the Foonf is the best car seat as well. After all, its safety features, while especially important for the rear-facing mode, are not useless for toddlers as well. However, the seat’s best feature is that it can be used in rear-facing mode longer. That means it may be a little be extravagant to purchase it for a grown-up toddler and use it as a mere forward-facing seat without utilizing its full potential. We advise that you purchase a simpler car seat if you need a new car seat for your toddler transitioning from a rear-facing non-convertible car seat. A belt-positioning booster is exactly that. Such a seat is used to guide the vehicle’s own seat belts to position them properly across the child’s chest and over their lap. The seat belts must be positioned across the hips, and across the chest and over the shoulder. The belts must not be positioned across the belly of the child or their neck. 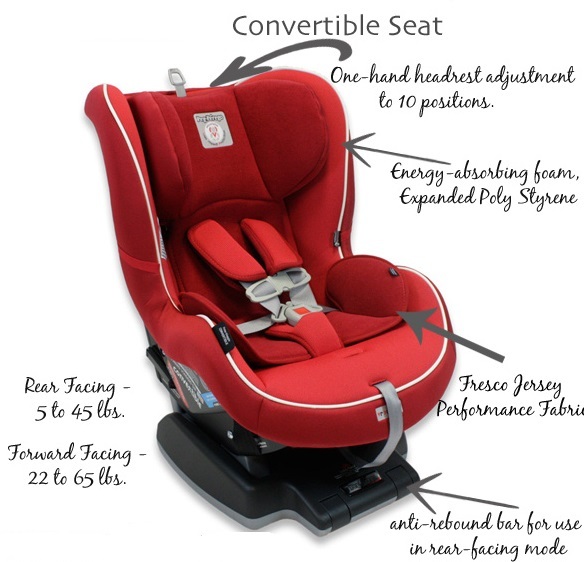 Because of the way it functions, a booster does not have a harness unless it is a convertible seat that can be used as a car seat for toddlers or even for infants. 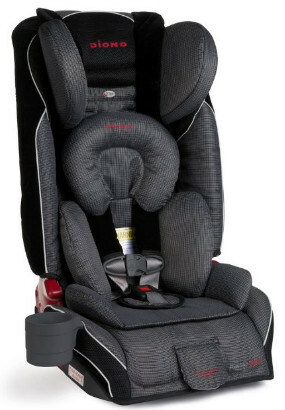 The best booster seat, in our opinion, is the Frontier 85 from Britax. It is a convertible harness-to-booster seat. It comes with a 5-point safety harness. The booster thus has two weight limits, one for forward facing mode and one for booster mode. It comes with a 45 lbs max weight overlap. In booster mode, it is suitable for children from 40 to 120 lbs. The IIHS has given this booster seat a Best Bet after evaluating it. As most Britax car seats, the Frontier 85 is equipped with the True Side Impact Protection. It is constructed with energy-absorbing foam lining and base that reduce the crash energy greatly in the event of a collision. Frontier 85 is also very expensive, although not to the same level as the Foonf seat. This booster would cost you a lot but the price is completely justified. The final choice is always up to you but what the choice should be depends on a variety of different factors. Some of them are standardized and accounted for by a number of car seat designers, manufacturers, and sellers. Some of them, on the other hand, are too individualistic to fit into any protocols and guidelines, even the loosest. The most common factor is the age of the child. We recommend that you do not proceed to the other type of car seat (or the next mode of the existing car seat) as long as you can still safely use the car seat you have. Please remember that child car seats designed for younger children are safer than those designed for older ones. The only reason they are not used for all ages is because they have weight and height limits based on their construction. If it has been confirmed that ride in a semi-reclined position is safe for your baby, you may use a child safety car seat provided you will take all the necessary steps. Make sure that the weight and height requirements are met before actually putting the baby into the car seat. Do not use a head support unless it comes with the car seat. A head support must not be purchased separately. Sometimes, the baby is not ready to be travelling in a standard child safety car seat. Whether because of their low weight or because of the doctor’s concerns with your baby’s breathing and heart rate when in a semi-reclined position. In that case, car seat use is ill-advised. A car bed is an alternate option. 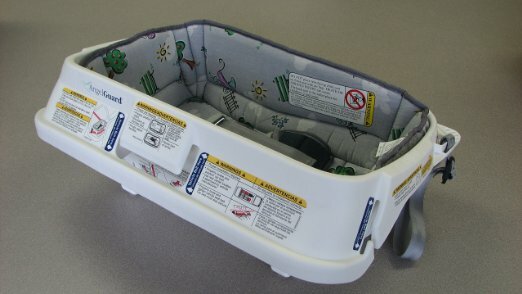 Car bed use is typically recommended by medical staff. They are to be used in place of a traditional car seat and not with them. Unlike car seats, babies can lie down in car bed rather than be forced to be in a semi-reclined position. There are some red flags medical professionals should monitor be allowing the baby riding in a traditional car seat. Those are for medical staff only but it would not be unwise to know what exactly they are. One of the pointers is that the child was born less than 37 weeks gestational age. Another one is that the baby is at risk of bradycardia, apnea, or oxygen desaturation. Yet another one is that the child simply does not tolerate sitting in a semi-reclined position. If even one of those criteria is met, medical staff should not allow the use of a car seat lightly. One of the best car beds is the Medline Angel Ride Preemie. Unlike most other beds, this one is specifically for underweight and premature children. The uppermost weight limit is only 9 lbs, less than some newborns weigh. The Preemie is the first choice for preemies as the very name suggests. However, the car bed is very expensive although very suited for its purpose. You can follow this link to purchase it. Another good choice is the Cosco Dreamride. This is more than a car bed. It is also a car seat, one that is FAA-approved at that. This seat, while somewhat inferior to the Angel Ride Preemie, is much more affordable. Most people would never purchase that particular seat. The Dreamride, however, is cheaper. And it can be used for air travel. There are some things parents need to know about child car seat use and child safety on the road in general, especially new parents. Children must always be positioned in the rear seat, if available. In the event it is impossible, the airbag, provided there is one, must be disabled; all of them if there are several. You must understand that an airbag can easily kill a child, especially if the seat is installed in a rear-facing position. As it has already been said, the seat belts, provided the child uses a booster, should run across the chest and over the lap. To position them in a different way is to expose the child to unnecessary risks. If you have a car seat with a harness, you should be aware that the harness must be snug rather tightly, without sagging or twisting. You should not be able to pinch a fold after the baby has been buckled. The top of the chest clip must be positioned on the same level as the armpits. 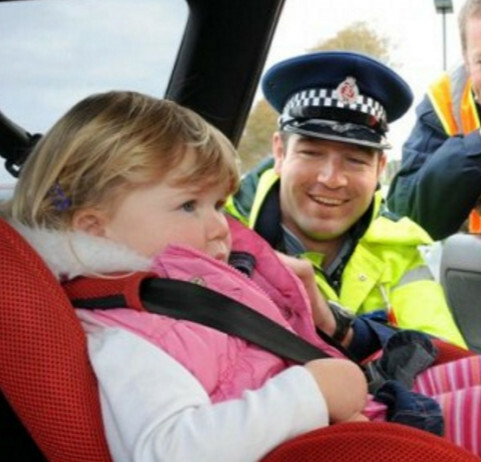 First of all, we would like to say that using a proper child restraint system is always preferable to a car seat. It is certainly preferable to not using any kind of child restraint, even if it is not illegal in your country of residence. That said, it is not impossible to use a child car seat in a plane. However, we do strongly advise that you think twice before you decide your child car seat will be enough. 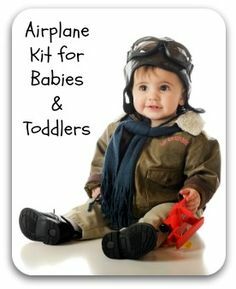 It is not unusual for an air company to have their own regulations concerning child safety and child travel. Those regulations are built on top of the existing legal restrictions, which are different in different countries. What does that mean for car seat use? The requirements for a car seat and a child-restraint system cleared for air travel are quite different, primarily because of the forces the child would be subjected to in the event of any emergency. A plane moves in three dimensions, after all. You may use a car seat in the U.S. for air travel provided it has been approved by the FAA. 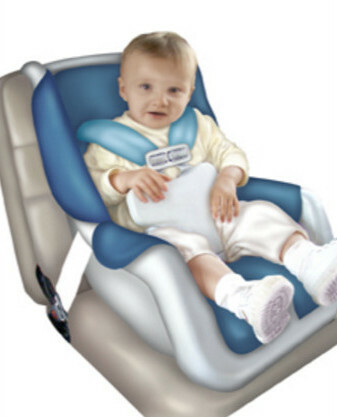 For instance, the Diono Radian RXT seat is FAA-approved and can be used in place of a plane child restraint system. If you would like to learn more about child safety and air travel, we advise that you follow this link. Convertible seats are what the name suggests. They are seats that can be “converted”. Typically, a convertible seat is a seat that can be used both as a rear facing and forward facing car seat. Often it is only a matter of how to install the seat than any actual transformations, although it does have to have a well-thought design to make it work. The best convertible car seats are these. Sometimes, a “convertible” car seat is a booster that comes with a built-in harness. It means, such a seat is effectively a toddler car seat as well. 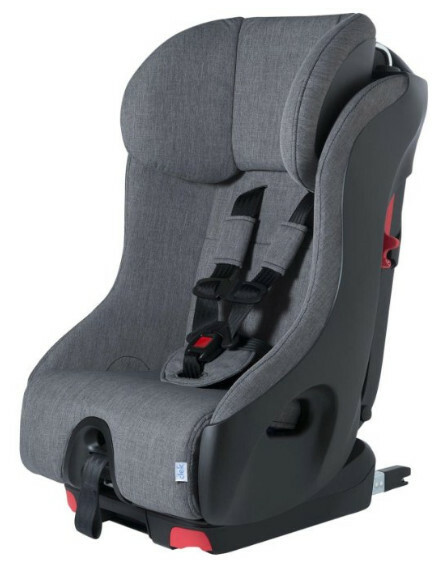 Depending on what the weight and age of the child are, the seat can be used for guiding the seat belts or restraining the child with the harness. Finally, there are 3-in-1 car seats, also known as “all-in-one” car seats. Those are regular convertible rear facing to forward facing car seats that can easily be transformed into a booster seat. The main advantage of such seats is that they can last from birth until the child can ride with adult seat belts. The best convertible seat proper, naturally, is the Cleck Foonf convertible seat. Come to think of it, it is only natural that this seat is the best. It should be recognized as such, especially after it has already been recognized as the best seat both for toddlers and infants. If you read the sections above, you should know why that is so. If you have just skimmed over them, let us fill in the gaps. 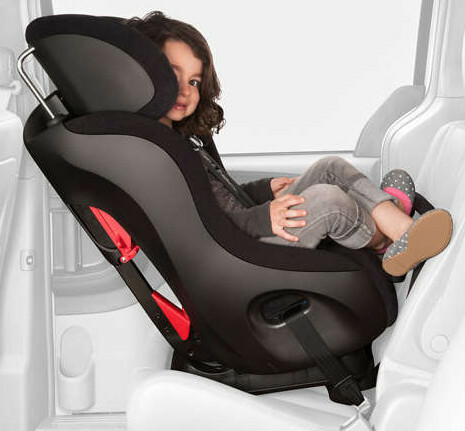 The Foonf seat can be used in rear-facing mode until the child is 4 years of age. This is a terrific advantage the Foonf has over any other car seat. The seat is also very compact, to the point it can be installed in a small car with no problems whatsoever. The Foonf seat is not only easily applicable but also very safe. It comes with many safety features. Its only drawback is that it is expensive. There are times when a car seat is simply not enough. Not in terms of safety or anything like that, merely as far as convenience is concerned. However, that is an important aspect in its own right. Putting a child into a car seat and taking them out might seem rather easy. However, it takes time, and if the child is asleep, you will almost certainly wake them up in the process. Both travel car seat systems and car seat and stroller combos can help you with those problems. 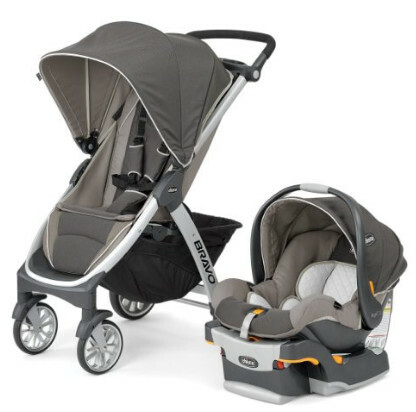 These two kinds of products are essentially the same thing, however, a car seat and stroller combo always comes as a single set issued by the manufacturer. A car seat travel system is little different, in fact, these two terms can be used interchangeably, however, the fact is a travel system requires a carrycot as one of its parts. A car seat and stroller combo does not, even though it often includes one. Whatever the term or peculiarities, such a set facilitates travel greatly. The best of car seat and stroller combos and travel systems would be the Chicco Bravo Trio Travel System. The Bravo Trio Combo has some features either unique to it or not very widespread, especially not in combination with other such features. The stroller has all-wheel suspension, linked rear brakes, a one-hand fold, a multi-position reclining seat and a removable canopy, among other things. The seat is rather simple, but it does meet all safety standards and requirements. It is also very lightweight. This combo may be not too cheap, but it is not the most expensive of existing car seat and stroller combinations. Either way, it is very convenient for the parents, comfortable for the child, and easy to use among other things. The combo’s price is relatively high, however, it is completely justified by the fact the seat is one of the safest car seats in the world. And you get the stroller, too. Car seat covers are far more important than some might think based on the obvious meaning of the term. They are very unlike car seat protectors which are put on the vehicle’s car seats proper. No, car seat covers are primarily used for the baby’s sake and not the sake of the car seat protection. 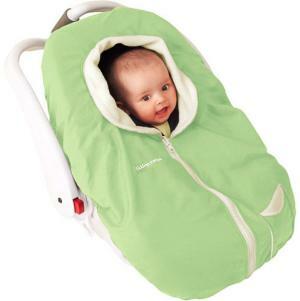 There are several types of car seats covers for baby car seats. 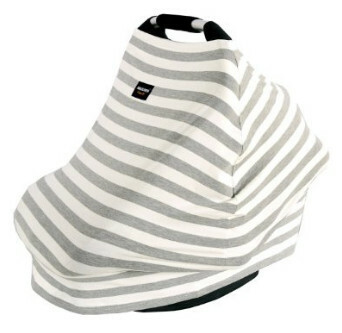 Summer car seat covers are used for protection against the sunlight and are usually ventilated. Anti-insect car seat covers are very similar in that that they are ventilated but they are typically made of mesh and have no seams that would let insects slip in. Weather covers are usually lined with rubber or are made of waterproof materials. Usually, they are transparent, or at least some of their parts are. Winter covers retain heat very well. Universal covers combine properties of all the other types, except maybe winter covers. They are also usually not transparent, like weather covers, but still are capable of protection the child from the elements. Universal covers are some of the most popular. The best car seat cover we have selected is undoubtedly universal. It is known as the AMAZLINEN car seat cover. There is one thing that separates it from other covers: the AMAZLINEN is versatile. While it is primarily a car seat cover, it is so much more than that. It makes a good shopping cart cover, chair cover, nursing cover, and an infinite scarf for the mother. In some of these capacities, it protects the child from the sunlight, noise as well as weather. The AMAZLINEN is made of 95% cotton. As such, it is waterproof in the same manner as some other car seat covers. While it is an adequate protection from a drizzle, you might consider purchasing another cover to protect your child from heavy rain. On the other hand, the car seat cover is breathable and thus far more comfortable for the baby than some other covers. Being stretchy as it is, the AMAZLINEN is very easy to install on just about anything, including a car seat or a shopping cart. For that same very reason, it is very easy to prepare for nursing. Besides, the cover is not transparent, which is very important for a mother who wants to preserve her modesty. The AMAZLINEN is not very expensive. For the time being, it can be purchased for approximately a very low price, especially when it’s on sale. But even when it’s not, the price still very low.